This book provides the most comprehensive theological analysis to date of the work of early Quaker leaders. Spanning the first seventy years of the Quaker movement to the beginning of its formalization, Early Quakers and their Theological Thought examines in depth the lives and writings of sixteen prominent figures. These include not only recognized authors such as George Fox, William Penn, Margaret Fell and Robert Barclay, but also lesser-known ones who nevertheless played equally important roles in the development of Quakerism. 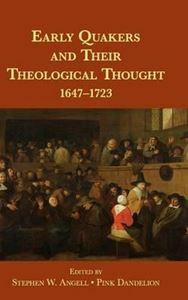 Each chapter draws out the key theological emphases of its subject, offering fresh insights into what the early Quakers were really saying and illustrating the variety and constancy of the Quaker message in the seventeenth century. This cutting-edge volume incorporates a wealth of primary sources to fill a significant gap in the existing literature, and it will benefit both students and scholars in Quaker studies.